At the root of any content generation strategy lies a basic, fundamental assumption, that the more content you produce that is relevant to your business, the more traffic your website will receive, and the greater number of leads you’ll generate, ultimately—at least in theory—leading to increased revenue and growth. Implicit in this assumption is the idea that if you write something and put it on your website, your content will be indexed by a search engine—okay, Google—through which new visitors will find your content and land on your site. Search engine optimization (or SEO) is the collection of strategies and tricks-of-the-trade that attempt to further boost your content’s Google search rank and visibility with the goal of driving more traffic to your site. See also why “Less is More” when it comes to crafting impactful website text. Make no mistake, Google SEO matters a lot. The most widely-used search engine on earth now processes more than 2 trillion searches per year—that’s about 63,000 per second! And all of that traffic, all of the millions and millions of decisions that decide your website’s search ranking and drive clicks (or don’t) are powered by one over-arching piece of math, the holy grail of SEO: Google’s search algorithm. 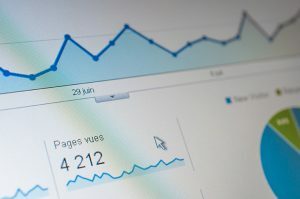 The Google search algorithm is not exactly a black box—there are roughly 200 factors that are known to influence a page’s rank to one extent or another, but these factors’ precise mix and the weight that each factor exerts on the overall page rank remains a closely-guarded secret. Google may be willing to admit, for example, that content length can positively impact page rank (and it does: the longer the article, the better the rank), but would-be SEO experts are left in the dark when it comes to how much of an effect content length actually has. For every honest content marketer out there on the internet, producing carefully-thought-out, well-written, helpful, in-depth articles, there are a dozen scammers looking to reverse-engineer or short-circuit Google’s algorithm with the goal of “gaming the system.” So perhaps it’s unsurprising that Google is constantly improving and updating its algorithm to ensure web searchers continue to find the best answers to their queries, as quickly as possible. Google Panda, first rolled out in 2011, but continually updated since then is an update to the Google algorithm that should be of particular interest to content marketers. Panda sought to address a number of issues that had cropped up over the years, in particular the phenomenon of “content farms,” websites with many articles linking to one another about a variety of topics, but very “thin,” with low-quality content (poor grammar, little expertise), and often farmed or copied from elsewhere online. Panda also seeks to filter out duplicate content, where text is largely copied-and-pasted across the website. What does this mean for content producers and bloggers? It seems clear that in order to be sweet to Google’s algorithm, it’s necessary to produce content that is lengthy, detailed, well-written, and authoritative. One should avoid short “listicles” or covering a broad variety of topics that don’t relate to one another. Your blogs should focus on your core competencies or value propositions and rarely stray beyond them. By remaining consistent with publishing a regular tempo of blogs, you can also receive a further relevancy boost from Google. From a broader perspective, it seems clear that if you want Google’s search algorithm to rank your pages well, they need to be part of a larger content-generation strategy. Indeed, the fact that Google Panda gives pages points for having “clusters” of related content seems to dictate blogging. If regular blogging is not currently part of your marketing mix, you should probably make it a priority to add it in as soon as possible, whether through an internal writer or via an external marketing firm if you don’t have the bandwidth. While in the short term it may be possible to game the system, over the long run there are no substitutes for well-written content. By taking the time to write quality blog articles that add value for readers, you’ll be well-positioned to continue ranking well on Google search results.